Calla and her team of outlaws are planning to sneak into the Seelie Court for a rescue mission as well as trying to figure out how to stop the horrible vision about the barrier between the human and faerie realms being destroyed. But amidst all the hiding and planning, Calla will have to deal with family trouble, a terrible tragedy, a curse, whatever the Guild is up to, and her own guilt and grief if she's going to save the people she loves. I don’t know why I waited two months to read this, I’ve never waited to read new books in this series since I always look forward to them, but it worked out well that I did because this was exactly what I needed to get out of my reading slump! It was definitely my favorite out of Calla’s books. It was steadily-paced, action-packed, funny, bittersweet, and even emotional at times. 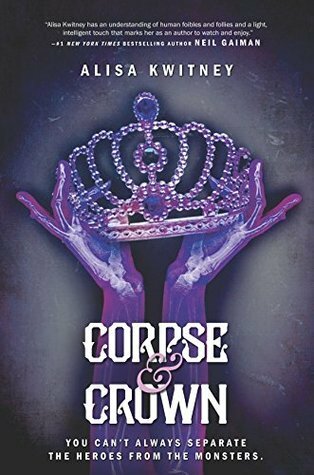 It had the same easy-yet-descriptive writing style of all the other Creepy Hollow books, the same lovable and kickass characters, and an intense, battle-filled climax. I even debated giving this 4.5 stars because I blew through it in two days and really can’t point out any actual flaws. But anyway, onto some specifics. I mentioned that the book was funny, and while it wasn’t laugh-out-loud-throughout-the-whole-book funny (that’s just not the type of series this is), it did have a few great moments. I especially loved the capslock burning hand bits (that is legitimately how your thoughts would be in that scenario, haha) and the age difference conversation. But the tragedy, as terrible as it was, also brought some really touching family moments to this book. Obviously I always knew he was her big brother, but I guess I hadn’t realized in the other books just how close Calla was to Ryn and how much she valued their relationship. There was also the romance, and that had its sweet moments too without being overpowering. Oftentimes when the love interest disappears for a large portion of a book it feels weird, but somehow he still felt present even when he was absent. I also like how Rachel Morgan seems to take some risks and go places other authors might not, but in a good way, like with the age difference thing I mentioned. I’ve always liked that Calla and Chase were 10+ years apart in age (not sure of the exact number) since I don’t think there’s anything wrong with that, especially considering how the faeries have longer life spans. So overall this was a book that sucked me in and a fantastic ending to Calla’s story. Now I’m just anxiously awaiting whoever’s story is going to come next! Fans of Books 1-5 in Rachel Morgan's Creepy Hollow series. Anyone who likes action-packed YA urban fantasy with faeries, lovable, kickass characters, and just enough emotion to make you feel invested! A witch’s curse. A world-ending prophecy. A daring rescue mission. Don’t miss the heart-pounding finale to Calla’s story! On the run from the Guild of Guardians, Calla Larkenwood and her team of fellow outlaws plan a daring rescue operation into the Seelie Court itself. As if that isn’t enough to keep them busy, the power-hungry Princess Angelica has begun preparations for a horrifying prophesied spell that will forever change both the magic and non-magic realms. When Calla is blindsided by an unspeakable tragedy before the rescue can be carried out, she struggles to remain focused on her mission. She believes she’s reached her lowest point—until a witch reveals the final blow: she has cursed Calla’s magic. With time running out, can Calla save the one she loves and stop the prophecy from being carried out before the curse claims her life? Have you read A Faerie's Curse by Rachel Morgan? Do you like when books are bittersweet? I'd love if you'd share your thoughts, too! This sounds like an amazing book to break out of a slump — isn’t it just sooo exciting and brilliant when you click with a book and you feel yourself just eating up the words and voila, no more reading slump! I like how you described Calla growing on you — I think that means a character building done right! It was! It’s one of my favorite series, so it’s also kind of a comfort thing, I already knew the characters and the world, etc., and that was just what I needed. And yes, I agree, I think it was character building done right since she did seem to mature and grow! You see?? That is why you are my number one blog to follow AND I’ve mentioned you TWICE in my celebration post. Just look at this! Just read it! I most probably won’t read the book, but I so love reading your reviews and just look at your gorgeous blog. Oh I’ve said that before. Really love the way you handled your spoiler alert. Have a look at my latest post – it took my half the day! Gosh, I need to invest in a crash course on computers. Haha, flattery will get you everywhere ;-) But seriously, thank you! I’m so glad you love my blog and my reviews :-D It did take me some figuring out to find a good way to do spoiler alerts lol. I’ll definitely check out your post! This is a series I need to start STAT! Faeries are some of my favorites in stories and Morgan seems to have created some incredible characters to get really attached to. And it seems quite the story is woven around them. I’m so happy Morgan was able to pull you from your slump, Kristen. I can’t remember how many of your reviews of this series I’ve read but I’m going to revisit/visit them. Well the good news is, since you waited, you can now binge read and won’t have to worry about the cliffhangers! If you like faeries, I think you’ll really like this series :-) I actually posted my reviews for this series when my blog was brand new, so you probably never even saw them since no one saw them lol. But I recommend it! Oh faeries! I am currently reading a book about faeries. I don’t think I have heard of this series before, but glad to hear it’s a good one. Glad to hear it got you out of a reading slump :). I was tempted to click on that spoiler, but decided not to in case I ever decide to pick it up. It’s always sad when your favorite characters go through a hard time. I have read a few books were the love interest disappears for a part, it can be done well, but can also feel off sometimes. Glad to hear it worked here and he was still present. It sounds like Calla really grew on you as a main character and yeah for her having to train instead of being instantly good. From what you mentioned it seems it’s one long series with multiple main characters and each main character narrates 3 books? That correct? It does sound like an original way to tell a series. Great review! Yay for faeries! Lol. The first book in this series was the first faerie book I’d ever read. The spoiler is hardly even a spoiler, but it could ruin the surprise of something in the earlier books, or it could potentially give someone a clue about the tragedy. I don’t know, better safe than sorry with spoilers lol. But yeah, wouldn’t it be great if we actually *could* give our favorite characters hugs when they need them? Yep, you got it exactly right. First three books are about one MC, the second group of three books are set 10 years later about one of the character’s little sisters, and the next three will be about someone else. But they all still connect. Thanks! I’m so glad you liked this one. I have book 1 on my to read list. I’m not always the biggest fan of books with faeries, but I do want to give the series a try sometime. Wonderful review!! It seems like everyone has this on their TBR lol. The first in this series was actually the first faerie book I’d ever read. I’ve read others since, but I like this version of faeries and just the stories in general. Thanks! I’ll probably read these at some point. Plus the cover of book 1 is awesome lol. I like that name Creepy Hollow. The fact that they’re set in the fae world could be good or bad depending on how it’s handled- but from I’ve seen I’ll like it. I keep waiting for that urban fantasy series that grabs me, I thought the Mercy Thompson books might be it but there’s nine or so and I just haven’t mustered the fortitude to tackle all that. I did read a Mira Grant standalone the other day (wasn’t really UF but kinda) and liked it a lot. Nice that these have a bit of humor as well. You should totally give this series I try, I think you might like it since you do like faeries, and most of it is set in the fae realm. I think it’s handled well. There are a lot of interesting little details like the faerie paths and types of magical “technology” they use and stuff like that. I also get overwhelmed and shy away from series that have too many books out already. Like I said, the good thing about this series is that you *could* stop after 3 books or after 6 books if you decided you got tired of it. The stories do interconnect, but each trilogy wraps up that MC’s story perfectly well. I’ll have to look up Mira Grant since I’m not sure what she writes. And yeah, a bit of humor is always a plus! I saw earlier that the first book is free on Amazon so I snapped it up. The A-Z Guide was also free so I snagged that too- it’s short stories about the different fae creatures, which of course I’m all over. So looks like I’ll be trying these before long. I grabbed that short story one too but I never did read it. I looked at it, but it just didn’t end up interesting me since it’s more like little snippets than real stories. But yeah, the first one is free! That was how I ended up starting the series in the first place lol. 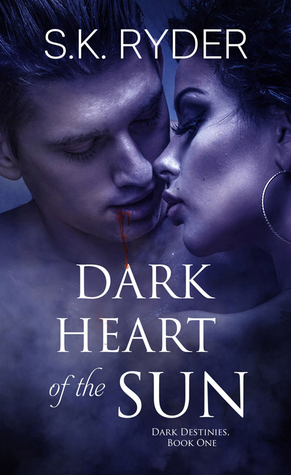 I don’t read a lot of urban fantasy or urban fantasy YA books but holy cow this was a great review and I want to start reading more. That age difference thing, if it’s done right I won’t be mad and I’m a lot more lenient on fantasy or UF or paranormal books than I would be for contemporary YA. I’m not a fan of the student/teacher story line. Those drive me nuts. But this one sounds like it’s okay. It’s just, I grew up with parents 12 years apart in age and have dated guys older than me, so it’s just kind of weird to me how bent out of shape everyone gets about that sometimes. Yet everyone is always ok with teenagers dating 1000-year-old vampires (which is actually mentioned in the book lol). The teacher/student thing would bother me though because of the ethics, not because of the age. But yeah, the age difference in this one worked totally fine and never seemed weird. Ooh, I needs must read this series! Lol if you like faeries, I definitely recommend it. It’s not all dark and gritty like many of the books I read, but it’s still great! And oh no, I’d probably never be able to get that out of my head either, haha, how funny that the main character has the same name even. If you want to know more about me and my blog, here’s my about page. Otherwise, stick around for SFF book/game reviews & recommendations, bookish discussions, author interviews, and more. I look forward to getting to know my fellow readers, gamers, and sci-fi/fantasy/paranormal lovers!